One factor that sets the top realtors apart from the crowd is that they all have a strong, easily recognizable real estate brand. Dedicated real estate advertising agencies know how to identify and define a distinctive real estate brand for individual agents as well as your entire realty group. Once your personal brand is established, your real estate advertising agency can create a responsive real estate website that features your personal logo, color scheme, and branding design to set your company apart. As a real estate agent, you are not just competing with other realtors for online attention, you also face the challenge of Zillow, Homes.com, and the other giant real estate directories that have outsized online presences. The best real estate marketing companies know how to use hyperlocal real estate marketing strategies to circumvent the large agencies’ hold on search results. They can create engaging blogs and social posts about local real estate issues, and apply hyperlocal SEO strategies to establish you as the local real estate authority. This plays to your strengths, shifting the competition for clicks into an area where your expertise gives you an edge over the larger national companies. Real estate has one of the longest lead times of any industry, taking anywhere from eight weeks to years before prospective homebuyers take the plunge. Advertising agencies specializing in real estate understand what real estate clients are interested in, and they can deliver the right combination of video clips, hashtags, and informative posts on real estate topics to establish an ongoing rapport between you and prospective customers. This enables the agency to establish a vibrant, memorable social presence for you that stands out from the sea of promotional social posts. Recent changes to Facebook and other social networks have made gaining an audience in social media a lot harder for realtors. 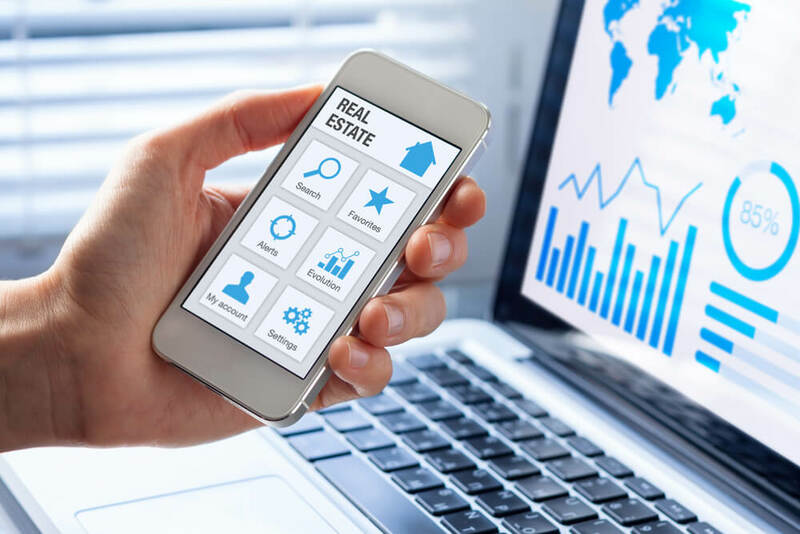 An experienced real estate digital marketing agency knows how to use PPC search and social ads to raise your profile and bring you to the attention of home buyers and sellers at the exact time when they need you the most. Your PPC ads will be paired with specially designed landing pages and dynamic lead generation forms to create a notably pleasant overall experience that leaves new contacts engaged and interested in your services. Adults in the United States receive hundreds of emails in a single week. An experienced real estate digital marketing company knows how to craft email newsletters that are eagerly anticipated and shared. With the ideal combination of attention-getting headlines, appealing topics related to real estate, and clickable content, your real estate email newsletters will stand out in even the most crowded in-box. Now that you know how advertising agencies specializing in real estate can set your business apart, it’s time to see what a dedicated real estate marketing agency can do for you! As a leading real estate digital marketing agency, For Sale Marketing can provide you with everything you need to set your real estate business apart from the crowd, including dynamic real estate branding packages, expert content creation services, monthly real estate social marketing packages, and more. Contact us at For Sale Marketing today at 954-779-2801 to experience the benefits of having a dedicated real estate digital marketing agency set your business apart from the crowd!